Are those front wheels touching the ground? Made it. My friend Richard and I drove ute II all the way from Brisbane to Geeveston in one piece, joining ute I which has patiently been waiting for five months for my return to Tasmania. The trip didn’t exactly start off on the right foot; when I bought ute II it appeared to have four brand new tyres, a plus I thought. When I got it home, however, I discovered that whilst they had close to 100% tread, they were in fact 5 years old. 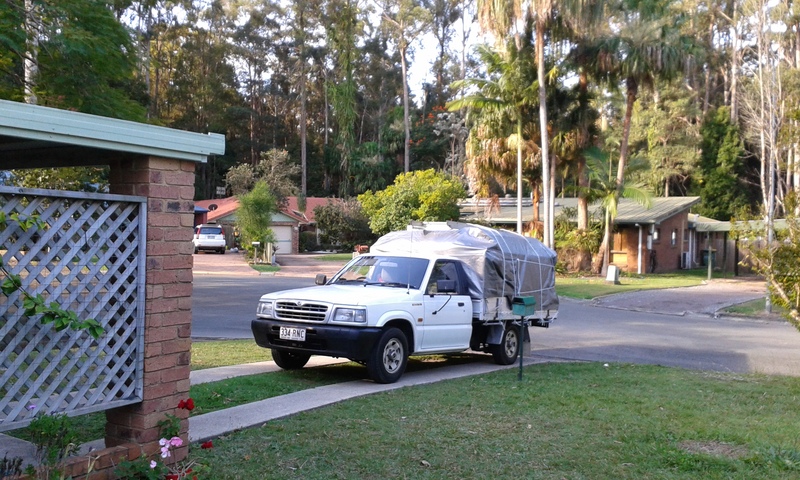 With a full load and cruising at 90km/h, by the time I’d done the 140km to Brisbane, the driver’s rear tyre had failed. $440 and four new tyres later, we were off, late. Which meant we were also late at Claire’s place in Newcastle, especially as I miscalculated our fuel consumption just north of there, and ran out of fuel….. Luckily the NRMA rescued us in no time flat, and we made it in time to devour my daughter’s delicious vegetarian curry. Our next stop was Shepparton in Victoria where Richard’s sister lives. I left him there for a day while I caught up with my favourite niece in Melbourne. While there I picked up the two bidets I bought for a song on eBay, plus a couple of hand basins and several mixer taps that were going for a third of the price of Bunnings’! My many thanks to Brendon who is storing the stuff while I wait to return to the mainland to pick up my AGA in Adelaide. The ferry trip across Bass Strait was uneventful – I can hardly believe I’ve now had two perfectly smooth crossings. The newly installed wifi on the ferry didn’t seem to work, or perhaps it was overloaded from all the other passengers having a go too. 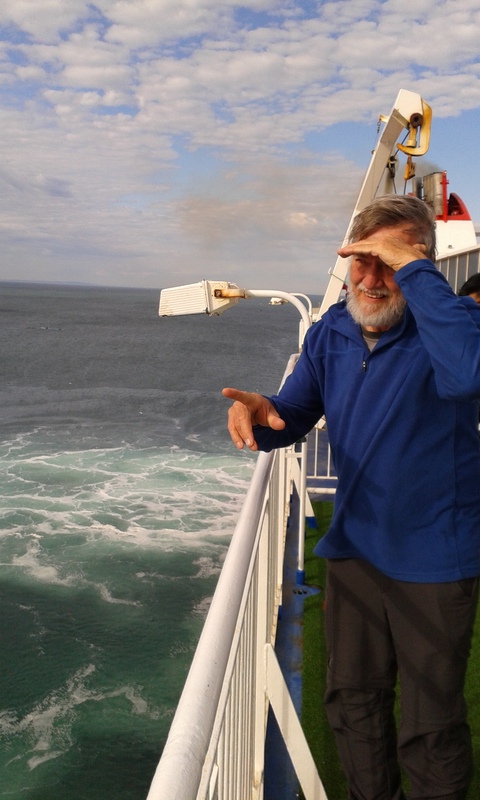 I was hoping to stay in touch with this poor old neglected blog while at sea, but there you go…..
On the other side of the strait we stayed with Kate (this time it was Geoff who missed out on a visit!). I ordered a pair of Kate’s glorious hand made ear rings for my dear other half who missed out on a birthday present due to all the chaos caused by the sale of Mon Abri. They were definitely worth waiting for….. It doesn’t take long to cross Tasmania, fortunately, and we were soon in Geeveston to unload. Richard and I soon undertook the task of making the old apple shed livable by rejigging the wiring from just one double power point to run everything, to several, thus removing miles of extension cords and power boards galore that I seriously think were not safe. The adventure has begun, and my main problem is working out where to start. There really is so much to do…..
As far as the weather goes, it’s only cold at night, and now I have a room to sleep in, it’s not even an issue. Daytime temperatures, even when they barely reach two digits, suit me fine for working. I’m really not missing Queensland. Glenda’s organised a dinner tonight with all our friends and neighbours to celebrate my arrival, today’s another glorious day in paradise with the sun shining brightly, what else would one wish for? 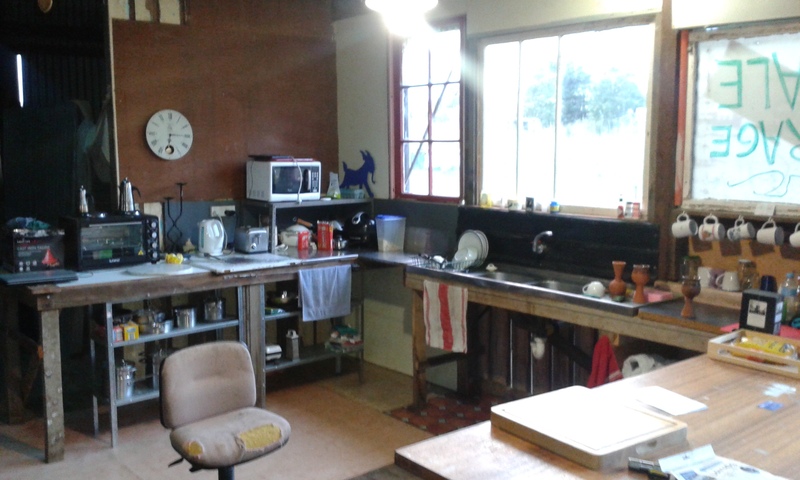 My next big project is returning to the mainland and driving to Adelaide for my AGA. Not sure I’m looking forward to that, but it has to be done.